What Happens to Leather Shoes When Exposed to Heat? You can remove mold stains from shoes with household products. 2 What Happens to Leather Shoes When Exposed to Heat? When shoes become wet from sweaty feet or water that enters the shoe fabric, mold spores may develop. Mold is a fungus that grows in dark, warm and moist environments. Shoes are perfect areas for mold to thrive. The mold is normally black, but it can also appear as white spongy growths. 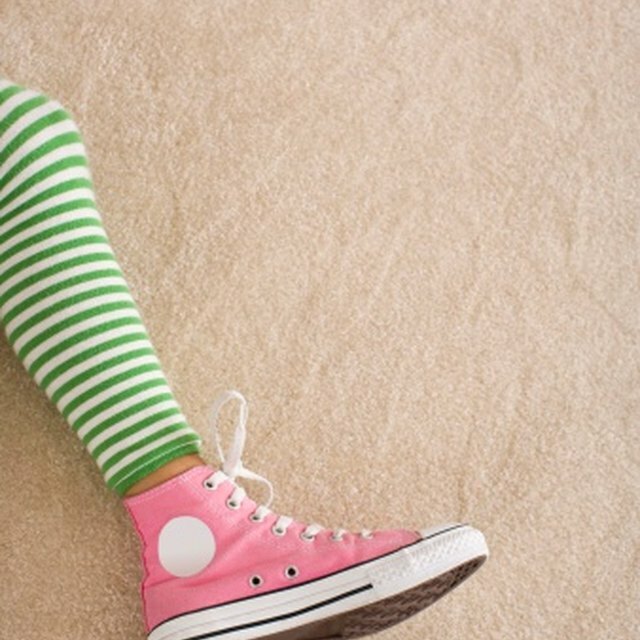 There are ways to remove mold stains and their odor from your shoes. Put on rubber gloves to protect your hands when working with chemicals. Take the shoes outside and brush off any mold spores with a soft-bristled scrub brush. Allow the shoes to sit in the sun as the sun’s rays kill mold. Mix 3 tbsp. of lemon juice and 1 tsp. of salt. Dip a clean rag into the solution and apply to the mold stain, rubbing it into the inside of the shoe's fabric. Place shoe outside in the sun for two hours, then rinse solution off with warm water. Dry shoes with a clean cloth and place in the sun to help the fabric inside the shoe to dry. Mix 2 tbsp. of liquid chlorine bleach in half a bucket of warm water. Using a clean cloth, apply the solution to the mold stain. Allow the solution to stay on the shoes for 10-15 minutes. Rinse shoes with clean, warm water and dry with a clean cloth. 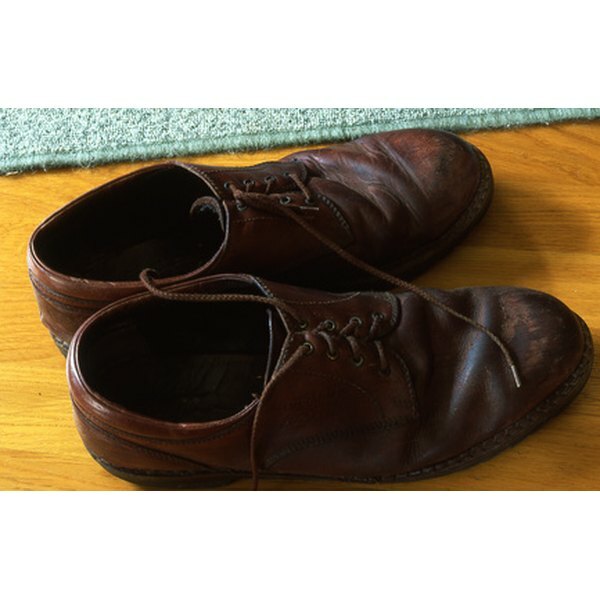 Spray the inside of shoes with an odor eater product to remove the mold smell. Wipe shoes with a rag or cloth if they become wet from rain or from sweating inside the shoes to keep mold from developing. Spray shoes with a water repellent after removing all traces of mold. Mold breeds in moist environments and the water repellent may reduce moisture buildup.